Offering you a complete choice of products which include section bending machine, manual section bending machine, hydraulic single pinch section bending machine and cage wheel angle bending machine. We are offering Section Bending Machine to our clients. We provide high-quality products to our clients. 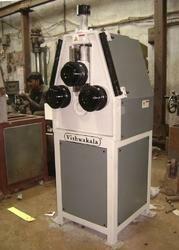 We are offering Manual Section Bending Machine to our clients. We provide high-quality products to our clients. 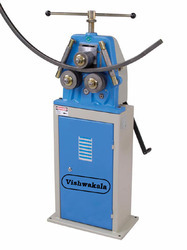 We are offering Hydraulic Single Pinch Section Bending Machine to our clients. We provide high-quality products to our clients. We are offering Cage Wheel Making Machine Angle Bending to our clients. Other Bending Capacities as per brochure: Can Bend Round Pipe, Angle, Flat, Square Pipe, C Channel, T Angle, Round Bar, Square Bar and other Special Profiles. Looking for Section Bending Machine ?